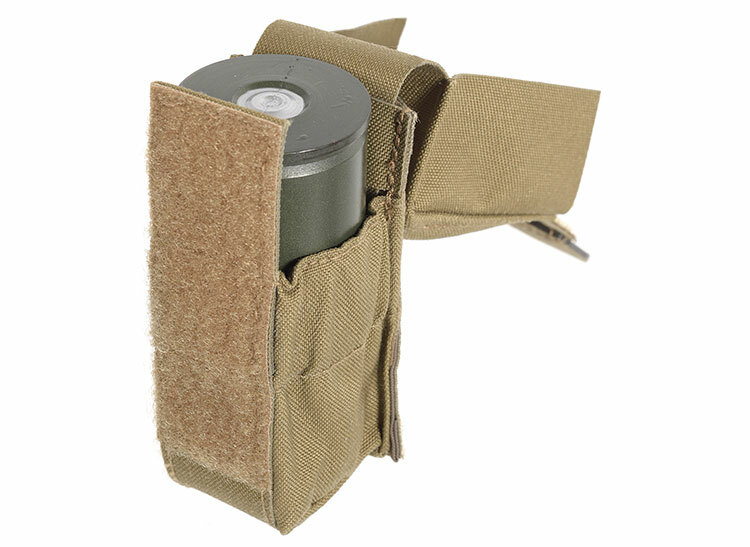 Intended for transportation and fast reload of one 40mm rifle grenade. 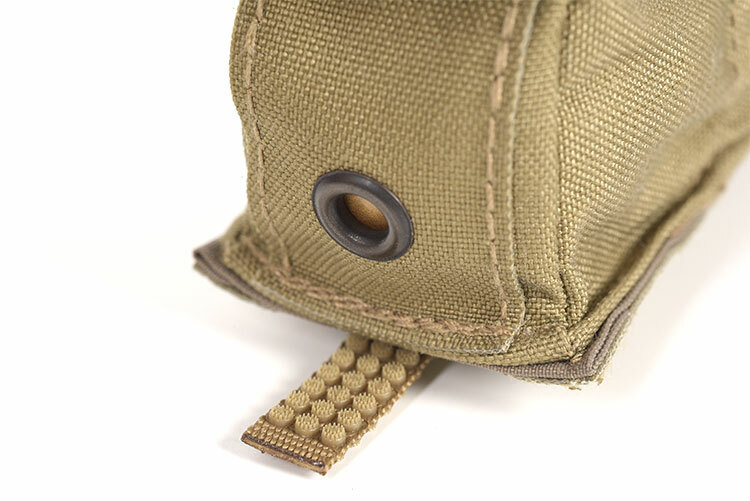 Full lid with hook and loop closure, adjustable in height to accommodate both high explosive and smoke grenades. 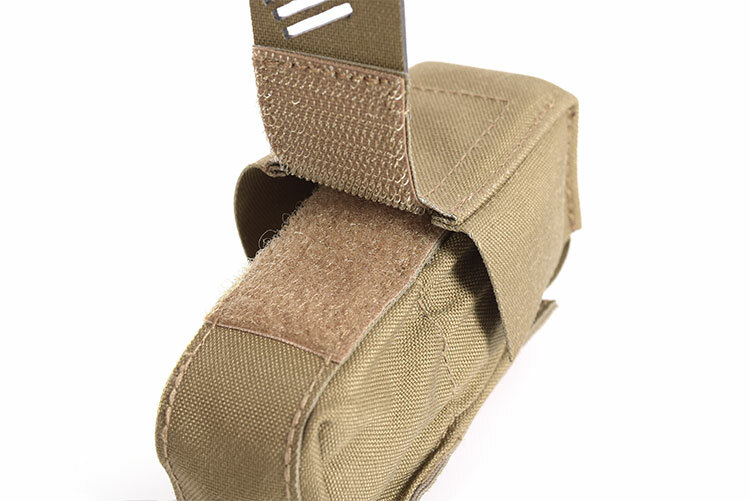 OMEGA grab-tab for fast access to grenade, internal elastic for stability. 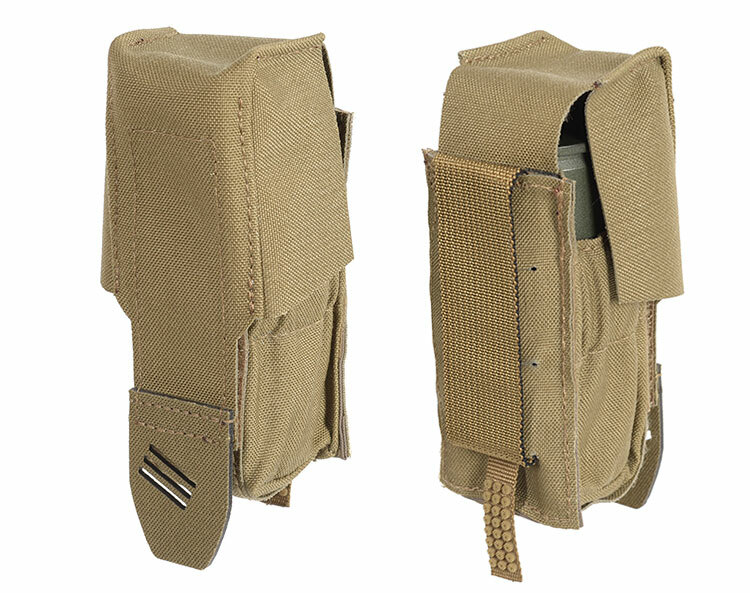 ALPHA laminate Slot Attachment Interface for increased stability on any PALS/MOLLE interface. Available as single or double.